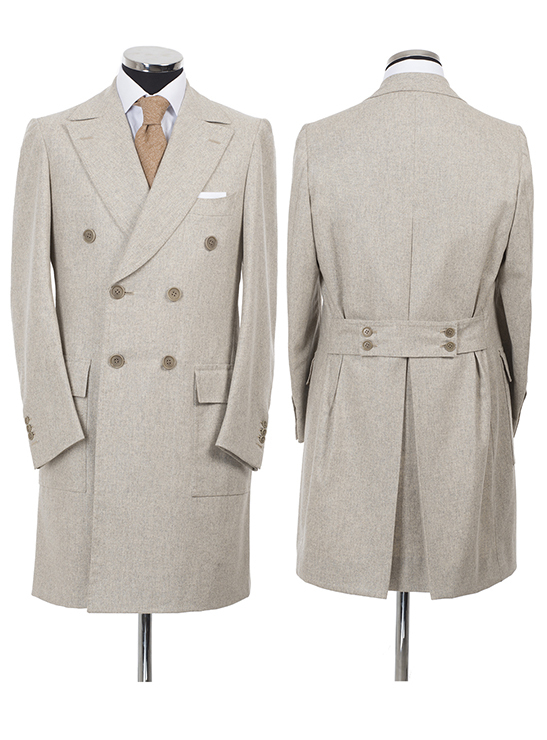 An elegant overcoat made in Vicuna for a perfect wearability. It’s a double-breasted coat 6 button placked. The pronounced lapels emphasize its elegance. It has flap pockets and breast pocket “a barchetta”, side pleats and central fold on the back. It is embellished by the particular 4-button martingala on the back. Overcoat: 100% Vicuna, 6 buttons, rear 4-buttons martingala.